From prisons to private homes, stadiums to schools, the need for security is constantly rising. More and more buildings and properties require perimeter intrusion protection (PIDS Systems) to prevent unauthorised access. The variety of perimeter intrusion detection systems (PIDS) available is huge. Comparing different types of PID technologies is difficult and time-consuming since many factors must be taken into consideration to choose the most suitable technology to secure a site. Barrier-mounted PIDS such as VibraTek® Plus sensor cable and VibraFon® seismic sensors belong to the most widespread intrusion detection technologies. They are installed directly at the perimeter fence or wall and therefore identify an intrusion right at the beginning. They can cater for non-linear perimeters such as perimeters with corners or other directional changes. Moreover, they are known to work well in unfavourable weather conditions and darkness. Both technologies have built-in audio alarm verification so that security staff can listen to the audio signals that caused an alarm. Both systems are an excellent solution where high performance and moderate investment are required. Free standing PIDS such as active infrared or microwave systems are often used for perimeters that include wide open spaces with few obstacles, such as buildings or other obstructions. Besides that, infrared systems are ideal to protect short distances such as windows or facades of a building. For very high security applications free standing PID systems are combined with barrier mounted systems. Whereas the latter protects the fence itself, the former detects the area behind the perimeter fence/wall. CCTV has become more effective in recent years. The huge advantage of visual alarm verification has to be paid with a heavy investment in the technology. CCTV with advanced analytics is not without flaws when it comes to reliable intruder identification and effectiveness in bad weather conditions. Due to their high costs and complexity ground-based PID systems are often only selectively applied in very high security areas within a perimeter. More and more free-standing systems are preferred in these scenarios. What makes buried systems outstanding is that that they are completely hidden which makes it very hard for an intruder to plan a strategy to defeat them. VibraTek detection technologies represent some of the most reliable and costeffective perimeter detection tools available on the market. VibraTek® Plus is the fourth-generation vibration-sensitive linear sensor specifically designed to provide high-performance intruder detection capability when deployed on fences or other barriers used to define the perimeter of a secure site. 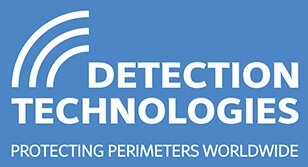 Compared to other PID technologies an intrusion is identified right at the perimeter boundary, and more importantly, before the intruder gains entry to the site thereby giving security staff more time to implement effective countermeasures. The VibraTek® Plus microphonic sensor detects mechanical vibrations which are then converted into electrical signals that accurately represent the mechanical energy which caused the signal. The VibraTek® Plus uses software algorithms to reliably differentiate between non-hostile signals, such as those caused by wind, rain, hail, or other environment related activity. 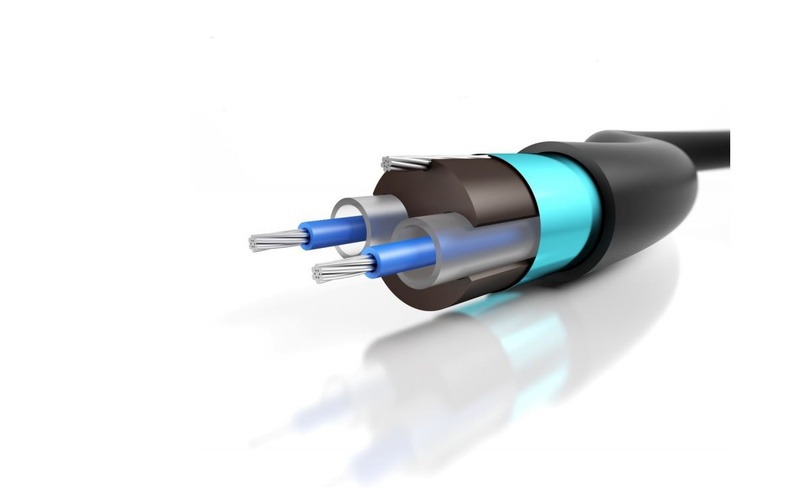 The huge advantage of sensor cable is that it covers the perimeter boundary over its entire length. Environmental factors usually affect the whole perimeter boundary whereas intrusion-related activity tends to be localised at the point of attack. Moreover, smart configuration options prevent alarms generated by larger animals touching the perimeter protection structure. Unlike some of the competing intrusion detection technologies VibraTek® Plus is very durable in adverse weather conditions, including heavy rain and fog. Most important, the alarm effectiveness won’t be compromised by darkness, rain, hail, snow or sandstorms. The system doesn’t require a clear line of sight. This makes it ideal for sites which have bends and corners that create niches and ‘hidden’ areas. If the height of the perimeter barrier is restricted for aesthetic or planning reasons (for example the building lacks a security topping) an intruder might try to bridge the structure with a double ladder. To eliminate this possibility VibraTek® Plus can be used in conjunction with a free standing or ground-based PID system. VibraTek® Plus comes with the distinct advantage of offering a clear and very highquality audio representation of any form of ‘hostile’ or intruder-related activity. This means that security staff working in the site control room can easily ascertain the nature of any suspicious intrusions and act accordingly in a time-efficient manner. This ‘audio verification’ feature offers security staff the opportunity to ‘listen’ to the audio signal caused by intruder-related activity. This audio signal is identical to the audio they would hear if they were standing next to the intruder while the intruder was attacking the fence. In terms of costs the microphonic sensor is very attractive because it usually only requires running a single communication cable from the protected building to the perimeter boundary. The Ultimate Wall Protection System, known as VibraFon®, is perfect for properties with a high number of major walls and other concrete constructions, particularly those with bends and corners, as opposed to large, open spaces. Like VibraTek® Plus, it is a barrier-mounted PIDS providing audio alarm verification upon detection. VibraFon® works by utilising seismic point sensors which are able to detect mechanical vibrations passing down the perimeter as an intruder attempts to scale or penetrate it. Spaced roughly three metres apart, the sensors create an interconnected network to detect hostile activity. One signal analyser can accommodate zones of up to 100 metres in length (32 sensors) and can be placed close to the wall (which requires DC power and cabling) or up to 2500 metres away using dual twisted cables. VibraFon® is one of the most covert perimeter detection products on the market. The part of the system located along the perimeter wall also does not need any power distribution in order to function. It can be installed inside the wall without causing any significant visual impact. Unlike many of its main non-vibration competitors, this system does not need to rely on direct linear detection like infrared systems might have to. Thanks to its comprehensive signal filtering capabilities, the VibraFon® system can easily discriminate between hostile activity (such as a burglary) and benign activity (like passing traffic or severe weather.) As such, its effectiveness isn’t compromised by the weather or darkness, and it can still operate effectively in areas of overcrowding. An active infrared system (AIS) consists of a transmitter and a receiver. The transmitter emits an infrared beam that is not visible to the human eye. If the beam is interrupted the receiver generates an alarm. Heavy fog may cause false alarms since the beam cannot reach the receiver. Often multiple beams are arranged to build a curtain whereby two AIS towers face each other. The ideal perimeter to be protected with AIS is rectangular with four perfectly straight sides <= 200m. In this case freestanding AIS would be an effective solution since you only need to install one pair of transmitters / receiver towers next to the fence line per side. Unfortunately, the reality looks different. Most of the perimeter boundaries have bends, corners and hilly grounds which make it difficult and sometimes even impossible to secure them with AIS only. Although one transmitter and one receiver can cover a range of a few hundred meters in theory the alignment of transmitters and receivers over long distances can be tricky. Unfortunately, they do not indicate the location of an intrusion in between two towers. A clear line of sight between the transmitter and the receiver is always a prerequisite which narrows down the applications. AIS are a popular means to protect smaller distances such as windows, facades, boom barriers or sliding gates and are therefore a good extension to barrier-mounted PIDS. AIS technology is a valid solution to protect a perimeter where no physical barrier is wanted. AIS systems can be quite expensive because each transmitter and each receiver requires a separate power and communication cable. To ensure reliable functioning in low temperature conditions the AIS need to be heated. If multiple AIS systems need to be deployed to protect larger perimeters, it is usually a requirement that a synchronisation cable must be installed between adjacent transmitters and receivers to avoid interference. This cable is normally installed in a cable duct below the ground and adds significantly to the installation cost. One of the biggest drawbacks of AIS is that there is no integrated method to verify an alarm. In other words, without CCTV the security staff has no means to verify whether the alarm was caused by an intruder or accidentally by wildlife. AIS defeat strategies might include bridging over or tunnelling under infrared beams. Depending on the size of the beam tower it might act as a climbing aid for the intruder. Microwave technology can be either bistatic or monostatic. Monostatic systems combine the transmitter and the receiver in a single device. They work by filling all of the open space inside a specific area with electrical signals and then monitoring how long it takes for the signals to be reflected back. If it takes longer than expected an alarm is triggered. Bistatic microwave systems consist of a transmitter, a receiver and a microwave field. A moving object causes a detectable change in-the microwave field. However, it is sometimes difficult to determine whether that object is a human or an animal. The accidental activation of security procedures following a false alarm can be costly to a business and could even cause the directors to run into trouble with local authorities. While it's true that developments in microwave perimeter defence technology (such as the capacity to only trigger the alarm once a bespoke operating frequency has been reached) has helped to reduce the number of unwanted alarms there's still a way to go. One of the major advantages of a microwave perimeter detection system compared to active infrared systems is that they tend to be more reliable in bad weather conditions such as heavy fog, rain and snow. One of the major challenges for microwave detection systems is the susceptibility to movement of water within the protected areas. For example, a pool of water lying on the ground within the microwave beam will cause false alarms if the wind is sufficiently strong to cause ripples on the surface of the water. Both free-standing technologies work best in sweeping, open environments. In theory, they can protect a perimeter without a fence construction. However, a physical perimeter boundary is always preferable since it adds an extra layer of security. On the contrary, both systems have difficulties securing areas with lots of small outbuildings or other obstructions. The cost of microwave systems depends on the application. If a single straight-line detection is sufficient to secure a whole perimeter it is very affordable. With more complex sites, cost can add up very quickly since every unit requires power and communication connection. CCTV with motion detection is one of the most well-known visual perimeter intrusion detection systems on the market. This free-standing PIDS works by constantly monitoring fields of vision for changes in movement to suggest an intruder is present. Each frame is stored in the system and is used to monitor changes sequentially. This is registered in the video voltage and may be represented on screen as a change in brightness. If the following frame shows another change, for example, the subject has moved again, it triggers an alarm to alert security personnel. Motion detection CCTV has come a long way. The first systems introduced claimed to have reliable motion detection. However, the performance was poor and false alarm rates were very high. Technology is improving all the time and today's advanced motion detection systems have become more reliable. They include video analytics which allows users to adjust for variations in local conditions, or regarding speed, direction of movement and object size. All this has helped to lower false alarm rates. However, CCTV with motion detection still has its drawbacks. CCTV systems still struggle to differentiate humans from similar sized objects such as animals. Furthermore, certain weather conditions are a challenge for motion detection CCTV. Lightning strikes can cause unwanted alarms. Fog and heavy rain can prevent the line of sight. Besides that, darkness also requires special CCTV technology. To overcome these challenges, CCTV is often combined with barriermounted PID systems. CCTV with motion detection belongs to the most expensive PID technologies available. Several cameras need to be placed along all stretches of the perimeter to avoid blind spots. Usually, each camera requires its own camera post as well as data and power connections. On the plus side, they can be positioned in buildings internally or externally, including those with bends and corners. Another challenge for CCTV with advanced analytics is to secure a defined area within the line of sight where lots of moving objects are expected. For example, you cannot protect a fence construction against climbers when people are walking in front of or behind that fence construction. Ground-based PIDS are installed below ground level. Intruder activity above the ground is usually measured by pressure sensitive sensors, seismic sensors, or radio frequency sensors. The result is an apparently invisible perimeter protection system which cannot be tampered with and which is impervious to bad weather conditions such as fog, darkness or heavy rain. If an intruder is detected above ground security staff receive a warning so that the individual can be intercepted. As such, this technology doesn’t require a clear line of sight to work and can be used on large or complex sites. The kinds of movement that can be detected include digging and drilling, vehicle movement and footsteps, among others. The main reasons why ground-based systems are not widespread is the huge investment required. Since the PID systems are buried into the ground there is a lot earthworks necessary to install the system. Maintaining or repairing the system is complex and costly, too. A major problem for ground-based systems is to differentiate between animals and human activity. More sophisticated systems try to solve this problem with machinelearning technology. However, these sophisticated models are still subject to false alarms. Unfortunately, the technology lacks a means to verify alarms. The most common defeat strategies are to cushion the vibrations caused by movement with either ladders or pads.